Here you can find some travel info on how to get to Northern Iceland where most of our rivers are situated. When you are looking into flights make sure you check Dohop.is from your destination to Akureyri as they tend to offer better prices than when booked seperatly. If you have already booked the flights to Iceland and just need to get from Reykjavík to Akureyri you can fly domestically with airiceland.is, rent a car and drive up north or have our driver Haddi Núm take your group to the destination. The flight with airiceland.is takes about 40. minutes while driving will take you 4,5. hours – 5.5. hours. 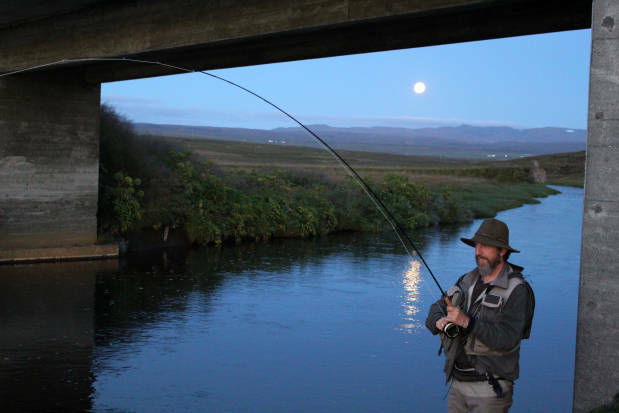 Most of our fishing destination are then within 1. hour drive from Akureyri with a few exceptions.